I wore ankle boots all winter long and now that warmer weather is right around the corner I needed a pair of comfy shoes to transition into spring. 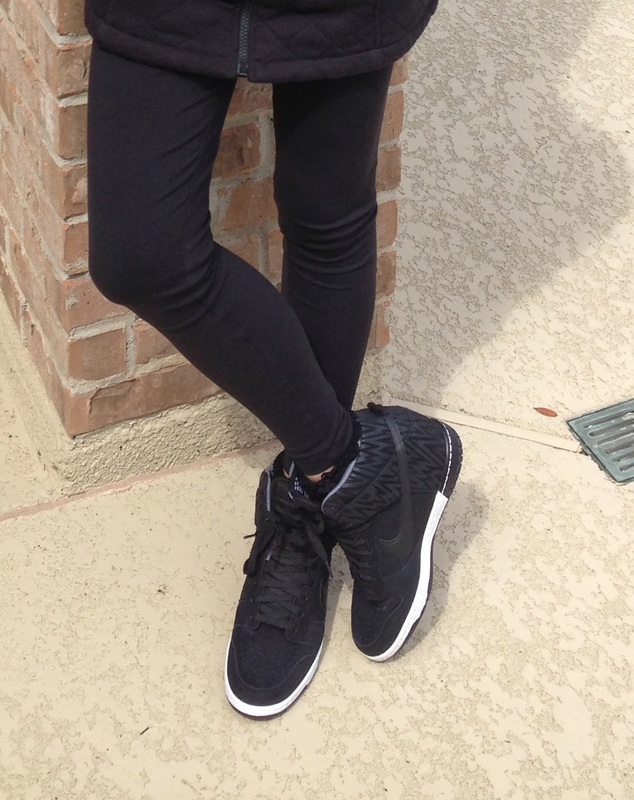 I've been eyeing these Nike hidden wedges for over a year now but never thought I could pull off this look. 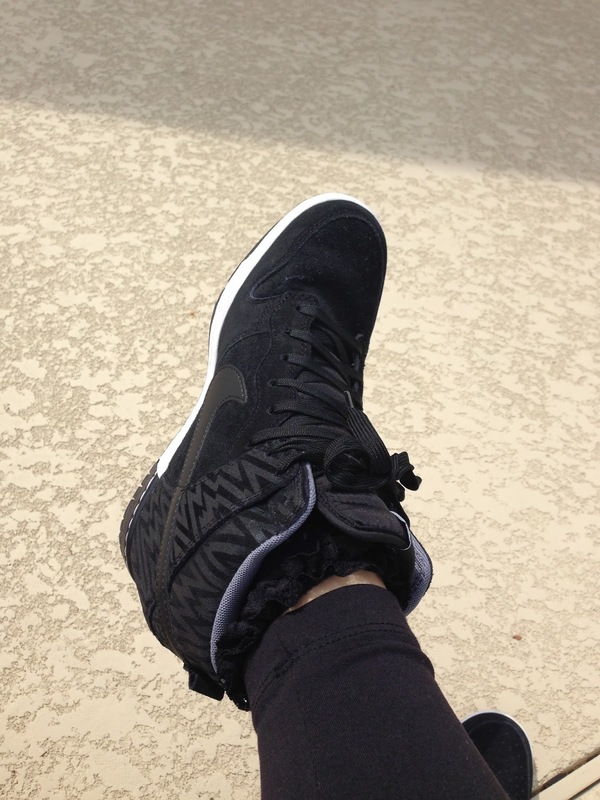 I couldn't stop thinking about them so I new it was time to splurge on these black Nike 'Dunk Sky Hi' Wedges. My favorite way to wear these right now is with leggings and my ruffled ankle socks. P.S. Nike always seem to run small on me and with these wedges I ordered one size up. Super cute. Your so "hip". Happy Friday!!!! Super cute! I've done the same thing for the last year,(only Sam Edelman)that I've put in my cart or tried on so many times...but haven't pulled the trigger. Maybe now that Spring is right around the corner...with some skinnies and a t-shirt...anyway, good job getting what you want! They look great are so very comfy! those wedges are absolutely adorable! Love these but had the same apprehensions as you. So glad you pulled the trigger - they're so fun! I'm loving the slip on sneakers for spring. Joie, Vince, and Sam have some cute ones out there. I remember you pointing these out a looong time ago! Glad you finally bought them. They look super cute on you.